On paper, Boardwalk Empire seems like it could be my favourite show. It’s made up of a bunch of different elements from a number of shows that I have fallen in love with over the years. The show is a 20th century period piece (Mad Men) on HBO (Game of Thrones) about gangsters (The Sopranos) starring a well-known character actor portraying an anti-hero (Breaking Bad). That sounds like it has the makings of one of the best shows of all time! Yet, for some reason, the show seems to fall short when compared to those masterpieces. It’s not that I don’t think the show is “good”. On the contrary, it is definitely one of the most technically well-done shows that I’ve seen. The costumes, sets and cinematography all work together to recreate the 1920s in such a beautiful and immersive way that sometimes I can imagine that I’m actually there. Unfortunately, the plot of the show is not as compelling as the scenery. I’ve always found the inner workings of the mafia to be captivating. The aforementioned television show The Sopranos, along with films like Goodfellas and The Godfather, have managed to portray the mafia in a nuanced way that both repulses and intrigues us to the life of crime. In my opinion, Boardwalk fails where these succeed by not trying to entice us enough. After watching Nucky Thompson conduct business, no part of me secretly wants this lifestyle. Although this is probably a good thing for society, it doesn’t usually make for great television. Many of the best shows give you a main character that you would be repulsed by in real life (Tony Soprano, Walter White, Don Draper) and makes you see positive aspects in their actions. 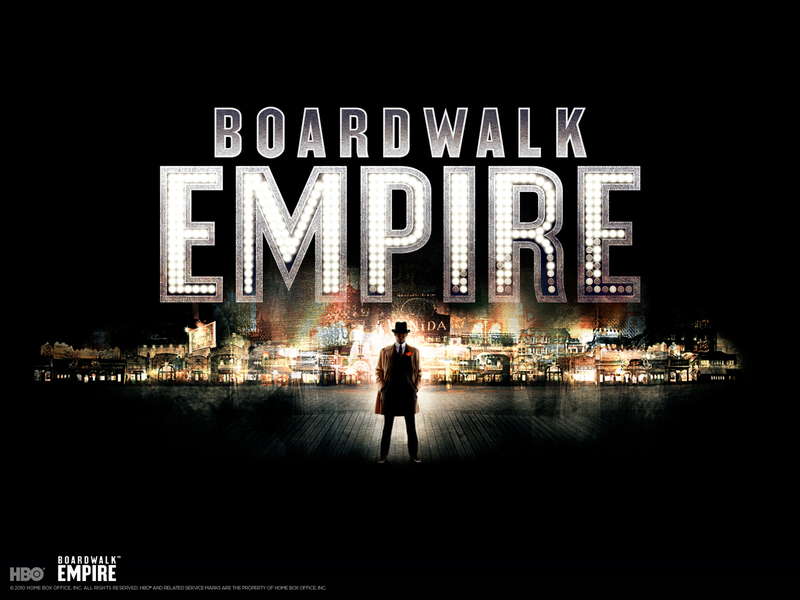 Those shows are able to make you question your morality in ways that Boardwalk Empire doesn’t. No part of me wants to be Nucky Thompson, or really any of the characters. I know that they are bad people, and worse, they aren’t even having any fun. The big cast is also somewhat of a detractor for the show. On shows with a stronger main character, a big supporting cast works well, as it gives the lead people to play off of. Due to the scope of the Boardwalk, it takes so long to check in with everyone that Nucky is barely onscreen. This can be seen as a benefit, since so many of the supporting character are more compelling than Nucky anyway, that I’d much rather be watching them .I’m often able to get wrapped up in certain storylines, but then I’m reminded that Nucky is the focus, especially when all the interesting characters get killed off. I pray every episode that Richard Harrow doesn’t meet his demise, because that might be the final straw. I really do wish I could love Boardwalk Empire. The prohibition era is usually so interesting, and is something I would love to see more of, but possibly on a different show. I can’t help but think that if the show was set somewhere other than Atlantic City with a different lead character (and a shorter intro, which really is insufferable), it would be the highest rated and most watched show on television today. I simply want to tell you that I am very new to blogging and seriously loved this web site. Probably I’m likely to bookmark your blog post . You definitely come with tremendous articles and reviews. Thanks a bunch for sharing your web site.